Gold color. Minty aromas and flavors of wintergreen, honey-ginseng lozenge, herbs de provence, cherry-mint marmalade, and marigold with a satiny, bright, moderately sweet medium body and a warming, medium-length finish that exhibits notes of sandalwood and vanilla syrup finish. A very herbal and freshening ready-to-drink Mint Julep. Bottom Line: A very herbal and freshening ready-to-drink Mint Julep. P O Box 1080 / 850 Dixie Hwy. 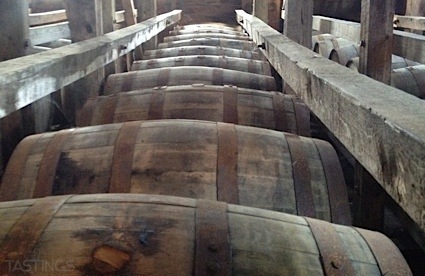 92 • Early Times Bottled in Bond Bourbon Whisky 50% (USA) $22.99. 92 • Herradura Añejo Tequila 40% (Mexico) $49.99. 90 • Herradura Reposado Tequila 40% (Mexico) $41.99. 87 • Old Forester Hummingbird Bitters 45% (USA) $.00. 91 • Old Forester Smoked Cinnamon Bitters 42% (USA) $.00. 89 • Old Forester Bohemian Bitters 46% (USA) $.00. 89 • Old Forester Perfect Old Fashioned Syrup 0% (USA) $.00. 93 • Old Forester Oleo-Saccharum Syrup 0% (USA) $.00. 94 • Old Forester Salt and Pepper Tincture 0% (USA) $.00. 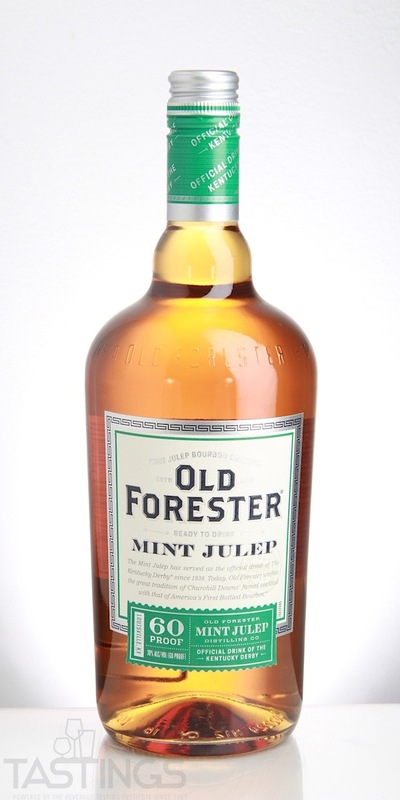 84 • Old Forester Ready-to-Drink Mint Julep 30% (USA) $24.99. 87 • Southern Comfort Black Spirit Whiskey 40% (USA) $17.99. 89 • Wakefield 2015 "Promised Land", Shiraz, South Australia 14% (Australia) $14.99. 85 • Wakefield 2015 "Promised Land", Cabernet Sauvignon, South Australia 14% (Australia) $14.99. 90 • Wakefield 2015 Shiraz, Clare Valley 14% (Australia) $18.00. 93 • Wakefield 2015 Shiraz, Clare Valley 14% (Australia) $18.00. Other RTDs include ready made beverages such as Long Island Iced Tea, Ginger Beer, Moscow Mule and red and white Sangrias. These are sold in stores in 4 pack cans or single bottles and are inexpensive and ideal for those looking to save time in their effort to imbibe alcohol. Old Forester Ready-to-Drink Mint Julep rating was calculated by tastings.com to be 84 points out of 100 on 5/16/2018. Please note that MSRP may have changed since the date of our review.